Our offer includes 13 finest blends. Each rigorously selected and tested to satisfy the most demanding palates. 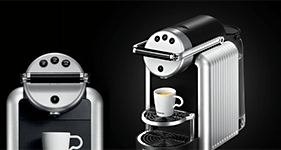 Only 2% of world’s coffee production meets quality standards set by Nespresso. Nespresso machines mean efficiency but also office decoration. 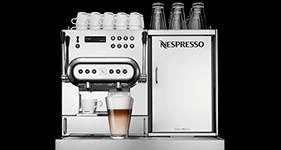 No matter the number of employees – ten or hundreds – the favourite coffee is served at the touch of a button. Try our solutions in your office. 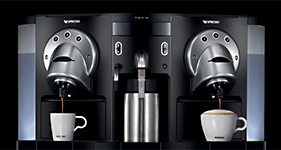 Contact Account Manager, test machines and receive a free welcome pack of coffee. We believe the greatest ideas evolve accompanied by an excellent espresso. Our technical service is available across Poland. 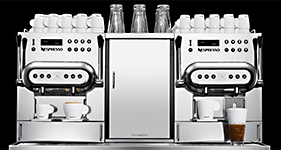 Additionally, we provide a substitute machine during servicing to make sure enjoying the finest coffee is always possible. Our offer is prepared individually for each customer. Whether you prefer to loan or buy a machine, our Account Manager will prepare a special offer for your office. (22) 730 70 07, 8:00 AM – 6:00 PM. For your convenience we accept orders via website lyreco.pl, via phone (801 307 007, (22) 730 70 07) or email (kawa@lyreco.pl). Order until 6:00 PM and be sure your products will be delivered within the next working day. 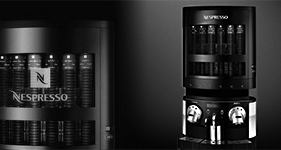 Lyreco is also the exclusive distributor of the finest coffee in the world – Nespresso – for offices and workplaces.